Washing Lines Australia. Buy Online. Best prices. Free delivery. 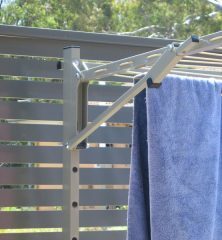 OZ Clotheslines and Letterboxes are preferred distributors of the Austral Clothes Hoist range of Australian manufactured clotheslines and letterboxes. 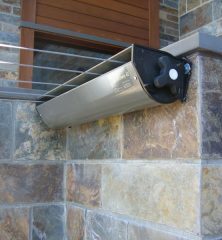 At OZ Clotheslines & Letterboxes understand your needs and how to satisfy them. 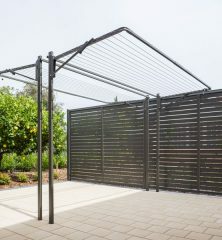 As we specialise in Austral Australian Made clotheslines and letterboxes we go to great lengths to make sure you spend your hard earned money on the best product. We also understand your time is valuable. Even if you know the best product for your needs you will have at least one visit to a retailer. Due to space restrictions major retailers are not able to carry every Austral product in store. In fact, most Austral products are only available on special order. If the product you need is not in stock – which is very likely – you will need another trip to collect it. OZ Clotheslines & Letterboxes carry a full range of models in stock, normally with next day delivery. Then you need to get it home. Remember, all OZ Clotheslines & Letterboxes products ordered include FREE DELIVERY. 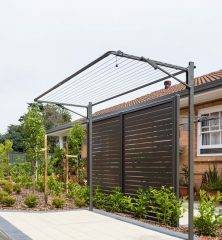 OZ Clotheslines & Letterboxes also offer letterbox and clothesline installation service at very reasonable prices – so all you need to do is order and we will do the rest! 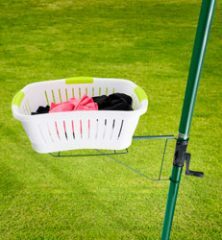 We are happy to provide professional advice on locating your clothesline if are not sure of the best place to position your new line. We only market the Austral range of products. Best of all, our products offer better quality and price than imported products. 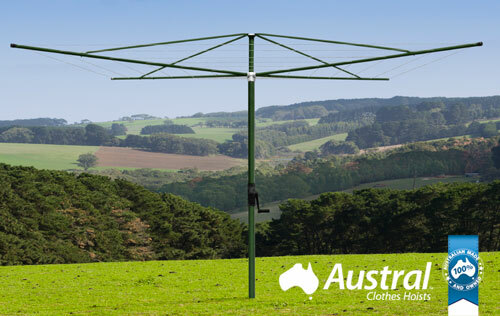 AUSTRALIAN MADE : Austral clotheslines are the only ones Australian owned and manufactured. Supporting Australian materials and labour. This ensures quality and long life, designed specifically for our climate and lifestyle. MADE TO LAST : All our clotheslines and letterboxes are built for reliability and to withstand outdoor conditions. 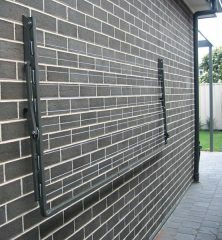 Our products compliment any Australian home, and are practical and stylish. All products come with a 10 year structural warranty. HELPFUL ADVICE : We endeavour to saves you time and money with extensive clothesline solutions. Feel free to call us on 0414 860 654 should you have any questions about which product to choose. PROMPT DELIVERY : At OZ Clotheslines and Letterboxes we pride ourselves on our knowledge of the clothesline and clothes hoist industry. We offer prompt Australia-wide delivery. FREE SITE INSPECTIONS : We offer free site inspections in most cities and towns nationally (conditions may apply). This guarantees the most suitable solution to your needs. 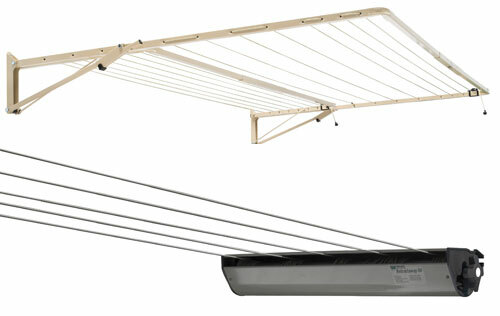 PROFESSIONAL INSTALLATION : If required, we offer a professional clothesline installation service. We can even dismantle and remove your old clothesline. For a quote, call us on 0414 860 654 or complete our online enquiry form. SPARE PARTS : We stock a full range of clothesline replacement parts, washing line wire cord and accessories. Austral Clothes Hoists has an extensive range of clothesline models and sizes including fold downs, retractables, wall mounted, fold away rotary and fixed rotary clotheslines which means you get the best solution for your specific requirements. All structural components are Australian BlueScope Galvabond steel for superior strength and rust resistance. Importantly, all our products carry a 10 year structural warranty. All plastic and cords are manufactured in Australia. Specialised colour powdercoating is available so your clothesline or letterbox can’t compliment your decor. Austral has warehouse facilities in every mainland state and we offer immediate dispatch of all products. Rest assured, service, installation and spare part enquiries are trouble free. Austral is an Australian owned company and has been operating since 1987. 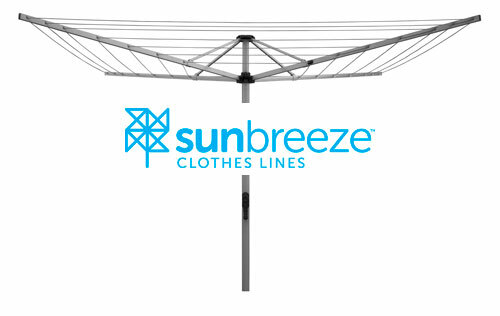 Browse our Sunbreeze clotheseline range : fold downs, retractables and wall mounted. 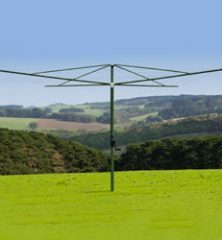 If you have any questions about our range of Austral clotheslines and letterboxes or Sunbreeze Clothes Lines and what product will best suit your specific requirements, please don’t hesitate to contact us direct.